This review comes a little late, but so well deserved. Dori did an amazing job with the rainbow heart theme first birthday for my daughter. She completely outdid herself and it was beyond my expectations. Thank you so much for doing such a beautiful job! We will be seeing you for our next event! I will post pics to the page!! Amazing job! Michael, Dana and Santina D.
Dori and her team never cease to amaze me. As a photographer her creative genius adds that perfect touch to my images and her work always wows my clients! You will not be disappointed! Absolutely outstanding work!! Creative and great attention to detail!! Thank you for the beautiful display at Alison’s bat mitzvah!! Hi Dori – You did my party yesterday at The Elan. Everything looked beautiful. Thank you so much. You did a wonderful job. The centerpieces were absolutely phenomenal. The Kayla sign was gorgeous. You did a very, very good job. I wanted to thank you so very much for making everything look so nice. I wanted to thank you for making Haley’s Bat Mitzvah so special!! Everything was beautiful at shul and on Sunday. Both rooms looked amazing!!! Thank you for your help with all the special touches, ideas and starting everything off with great invitations. I really enjoyed working with you and look forward to planning more simchas with you in the future!!! Have a great weekend! Dori, You great, perfect person. I just want to say all great adjectives about you. Room looked beautiful. Everything was great. Thank you, thank you for everything. We’ll already thinking you’re our lady for Carly’s! Thank you again for helping out with our rowing banquet last night. Everything looked beautiful! I really appreciate your efforts. Hope we cross paths again sometime. We have another NCAA event coming in March 2013. I’ll let you know if we’re hosting a party. The decorations were beautiful!! I have 2 bright pink palm trees in my entrance way foyer!! The balloons on the ceiling were so festive! Everything was just wonderful! Thank you so much for all your help and patience. I really enjoyed working with you. The fashion-themed centerpieces for my daughter’s bat mitzvah were absolutely beautiful and so creative. The room looked amazing and fabulous when we walked in. All of our guests loved them and were so impressed. It was such a pleasure and so easy and carefree to work with Dori and she had no problem working with my daughter to flesh out her ideas. She was always in communication with us and had not problem working within our budget. 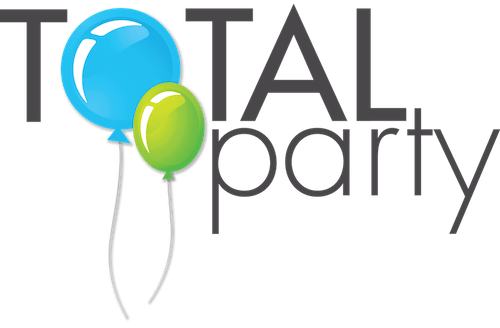 I totally recommend Total-Party for any kind of event. I just want to tell you that everything was absolutely beautiful. We really enjoyed everything. The entire party was great. Everyone who participated was wonderful and you did do the TOTAL PARTY! Everyone commented on how beautiful it was. Just wanted to call and say thank you. Thank you…. the centerpieces were great !!!! The sign in board came out beautifully also. Thanks again for your flexibility in working with me. I really appreciated it. Just wanted to thank you for making Ryan’s Bar Mitzvah look fabulous – the room looked phenomenal. The decorations were spot on. So thank you very, very much. It was a pleasure working with you. Dori, Great working with you too! We received so many compliments from the staff, the guests & the clients! It was such a unique centerpiece & a great contribution to the “Solar System” theme. Thanks again Dori!! Dori – a very special thank you to you for all you did to decorate the room. I realize it was a very significant donation of time and resources. It really made a big difference and made our reunion even more special. Thank you so so so much for everything! The balloons were a HUGE hit! I had people from the party upstairs peeking in to check out the decorations. Thanks again and I hope to work with you again one day! Dori…thank you so-so very much! your work completed that huge room. i would have taken the torches home if i could….actually one lady left w/a column and several centerpieces. Someone else bundled up about 10 centerpieces & brought them right into the restaurant inside where many of continued the party after our party & clustered them right in the middle of the room…quite ingenious, i might add. Thank you again for all your hard work on the day of your anniversary! What a gift you have! Dori, You made this huge, ugly room look marvelous, nobody noticed the flying saucers on the ceiling. This was a huge task and your hard work shined through, a huge thanks for making our party festive. You were given alot of compliments. Thanks again. So many compliments on the decorations… You did an awesome job!!! Want to thank you so very much for an outstanding job you did for East Side High School’s 100th Birthday Celebration. The torches were fantastic. What a great job!!! Hi Dori, thank you again for the wonderful job you did for Ben’s birthday party! The balloons were adorable. Words cannot even express how thrilled I was with all of the balloons for today’s Fashion Show!! You captured exactly what I wanted the room to look like. It was BEAUTIFUL!!! THANK YOU!! Dori, The balloons are still flying high!!!!! Everything looked beautiful on Saturday for Cara’s party. You did a great job and the balloons really enhanced the centerpieces and finished off the room. Everyone was commenting on them. I already gave your name and number to the temple office to give out to those looking for decorations. Thanks so much for everything. The Bat Mitzvah was amazing. The centerpieces and the sign in book were unbelievable. Adults and kids were raving about them all night. You hit the theme right on the nose. The set up was perfect! You made everything so easy. I think you should put the pictures of the centerpieces and the sign in book on your website as there are no good gymnastic centerpieces out there. You will receive a lot of hits from all over the country from people wanting gymnastic theme centerpieces. Thank you. You did a fabulous job making Kylie’s gymnastics centerpieces. All our guests were raving about them. Most important the centerpieces made Kylie VERY happy. I am a grandma and have been to dozens of Bar and Bat Mitzvah in my day and I must say the ones you made for Kylie were truly extraordinary. Although I never met you, you were a true professional and a pleasure to work with. I wish you the best of luck in all your future endeavors. Balloons held up beautifully! It was such a joyous affair from start to finish. Hannah did an awesome job in Temple and the party was unbelievably fun! Thanks for all!! Hi Dori: Finally had a chance to sit down and follow up with all my vendors who helped make Samantha’s Sweet Sixteen such a huge success! The name arch and the two columns came out beautiful! They were a wonderful addition to the overall look we were trying to achieve in the room. Thank you very much for making the day an event to remember! I just wanted to say Thank You for a great job! The balloons looked great and Kelsey was really happy with the way the arch turned out . I knew it would look good. The room looked great and really fit her candy theme with all the bright colors. Thanks again. It was a pleasure working with you. WOW!!!! We received the sign-in book today for Jen’s party and OMG!!! what a terrific job. It is beautiful and she LOVES it. Me too… Thank you so much for your help, ordering was easy and you delivered such a great product. Dori was a life saver in planning for the pre and wedding day events… Dori took all of the stress out of wedding planning. 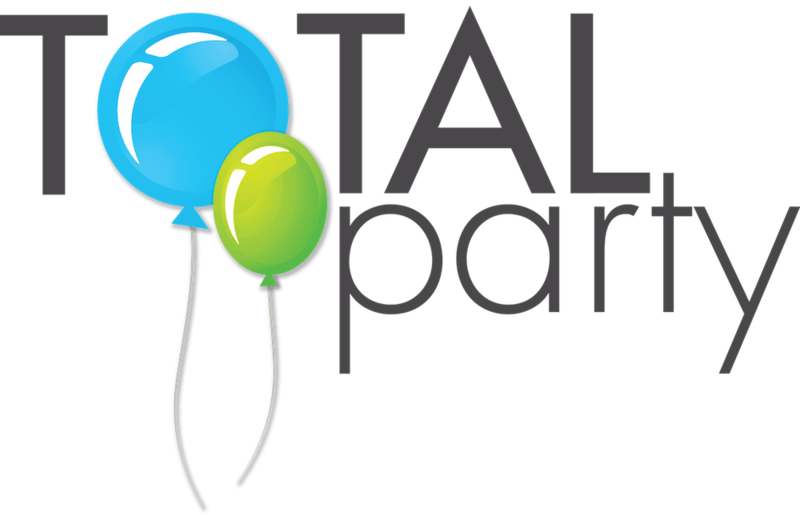 I have and will continue to recommend Total Party to others and hope to use Total Party for all future events. Dori has the expertise, caring and expedient manner of providing the highest quality items in a timely fashion. She treats each client with a personal touch and professional flair. I can’t say thank you enough for all that you have done for Kristen’s party. Everything turned out exceptionally well. The book and candle lighting centerpiece looked fabulous. The balloon centerpieces went well with the table arrangements. If I ever need your services again I know whom to call. We were very pleased with everything. Just want to thank you for an outstanding job! The balloons looked beautiful and I couldn’t have been happier with the centerpieces (and lights)! I will absolutely continue to HIGHLY recommend you to anyone who is planning a party!! I just wanted to let you know how beautiful the centerpieces came out. It was so nice to arrive and have everything set up. You did an amazing job. Also, I don’t know if you met Debbie H. who booked our party but she said she would be happy to recommend you. Thanks again. Dori was very helpful with suggestions and listened to concerns about sticking to a budget. My daughter related well to her which was important. Working with Dori was a pleasure. She was a good listener and was open to suggestions and had many of her own to share. Was very good at working in a collaborative spirit taking into considerations my ideas, my mother’s and those of my daughter. Thank you again for the beautiful balloons, it simply gave the added touch to the room that it needed. Mark had a wonderful time socializing and dancing with his friends and at the end of the night we took the towers home. You do great work and I will keep you in mind for future events as I move forward. Thank you so much for everything. The room looked wonderful and everyone had a great time. Even the cardboard stand-up figures survived and we brought them home. I’m sure it was very difficult to do the set-up in that weather. Thank you for all your effort! Ben had a great time and so did we! Dori was very professional. She was always available to answer any questions that I had. Total Party is reliable and very creative. I recommend Total Party to anyone who is having a Bar/Bat Mitzvah. Everything was fabulous! The room looked so phenomenal! The centerpieces were so gorgeous! The candle lighting board was a sensation! The balloons were the prettiest I have ever seen! Even better than I expected! I don’t anticipate another big party until my young daughter’s Sweet 16 in 3 years, but I hope we can work together again then, if not sooner. Thanks again. Just wanted to thank you. The party was a huge success. All the decorations looked wonderful. Everyone really liked everything. We got tons of compliments on everything. Everything went without a hitch! Thanks again. Everything looked gorgeous – the baskets, the sign-in book was beautiful, he loved it. People couldn’t get over how nice the room looked. Just wanted to say thank you. Please give me out as a reference! “Dori, Everything was wonderful. Thank you so much. I loved the little flowers in the bar area & on the other side by the doors in the wall in the kids section. The centerpieces were the hit of the party, everyone raved. Again, great job. Dori – I just wanted to thank you for making our reception room at The Pines look absolutely beautiful!! People would not stop talking about it…We were very pleased and it was a pleasure to work with you over the past few months! Your creativity, ability, patience, professionalism & communication made me 100% comfortable that you were the best person to decorate for my party. You are simply the best. The room looked EXACTLY as I had hoped. We had FUN working with you. You helped manage my budget without losing any quality. Thank you from the bottom of my heart. The room looked amazing thanks to you and Total Party. Very professional approach to party planning. Dori is very accomodating & easy to work with!! Excellent & professional service provider; Elegant decor; Very accomodating, lots of goods to choose from, delivers ahead of time.Excellent communication with quick response. Great planning with follow ups and feedbacks. We are so pleased with everything! Dori was professional, thoughtful, pleasant to work with and was wonderful to “bounce ideas around with”. Everything was done beautifully and helped make a stressful time before the simcha feel very calm. Thank you! Dori – You did an amazing job and never got rattled. You are very professional and I will recommend you to anyone needing a party planner. The centerpieces were great and showed a lot of detail. It did not go unnoticed. I just wanted to take the time to thank you, once again, for a job well done. The room was beautiful. The balloons added a great touch of warmth and understated elegance, which is exactly what I was hoping for. It was a pleasure doing business with you. Dear Dori – The balloons on Saturday looked as fresh and as plump as if you just inflated them. The colors were so lovely and made the entire room look so festive. I was completely happy with your work. I will surely recommend you to friends. Thank you – thank you! You did an amazing job yesterday. Thank you, thank you, thank you! Everything was superb. Centerpieces were a big hit. People actually asked to take them home. Thank you so much for the beautiful job you did with the balloons..Everybody raved about your work. I put my balloons with my name on my front lawn for the weekend..I hated to get rid of them. Thank you again. Thank you so much for helping to make my party amazing. The decorations were beautiful. Everything was ready on time and you were very easy to work with. Great job – I didn’t have to worry about the favors, place cards or table decorations. The place looked great! Dori, you did a great job! Thank you for all your great ideas and help! Mimi’s baby shower was exceptional! You are truly talented! Everything was so beautiful and professional. The icing on the cake is your beautiful spirit & personality. Thank you, thank you, thank you!!! Dori – you did a fabulous job! Sorry I put you under pressure – how did you appear so calm??? Everything was wonderful. The room looked amazing – balloon arch – Great! Favor bags, seating cards, centerpieces, etc.. were all fantastic. Thanks again for everything!The kids loved the t-shirts – they all wore them to school on Monday. Dori is fantastic to work with. She goes out of her way to ensure party success. Everything was so beautiful! Everyone loved the decorations & I had to fight to get an owl puppet as a memento! You did a terrific job! Thanks again. Dori was very pleasant to work with and we received all we had hoped for. I would recommend Total Party to everyone. Dori is accommodating and extremely helpful. Not only was Dori totally reliable and conscientious, but everything she did was beautiful-creating a beautiful, elegant, ‘party’ atmosphere. Will definitely use Total Party for Jesse’s sweet sixteen.  I have been recommending Total Party to others! Plus, Dori was such a pleasure to work with! I was thrilled with the service and final outcome.  Total Party is the best resource for party needs ever! Great Job!! The cake stand is still receiving compliments!! Very dependable, efficient service!!! Great job-it was nice to be able to focus on other things knowing all of your work would be great!